PokerStars is continually working on R&D to stay atop of the online poker industry and yesterday they released a brand new app on the Facebook platform. Poker players that have an account with Facebook can now play PokerStars.net games with friends. Zynga Poker has had a stranglehold on the online poker market on Facebook up to this point. Other poker apps have been built on the popular social network, but none of them have developed a huge player base like Zynga or PokerStars already has. 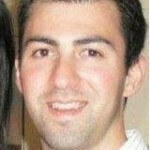 PokerStars already has millions of poker players that play on the PokerStars.net platform. With real money online poker coming to Facebook in the future in regulated markets it’s clear why PokerStars has been developing a state-of-the-art FB app. Right now the app is still in beta and it has been difficult to try and connect to the app today. Once you reach the lobby you can sign-in with your PokerStars.net user ID and password or you can create a user ID if you don’t already have one to play with. Everyone is welcome to play on the app just like at PokerStars.net. None of the poker games are for real money and there aren’t any prizes to be won to begin with. However, there are other activities that make playing on the poker app entertaining. While there are no prizes to be won by playing online poker on the app yet there are numerous achievements that players can unlock at the tables while playing. Compete against your Facebook friends to see who can unlock the achievements first. Apart from trophies and in-game rewards players will also be able to unlock poker tips from PokerStars Pros as they play. This is a nice feature for new poker players that want to work on their game without worrying about losing real money. The in-game rewards that you can win are called “Gold Coins”. There coins can be purchased or won at the tables and you’ll be able to use them to purchase virtual in-game items to make you stand apart from the competition at the table. 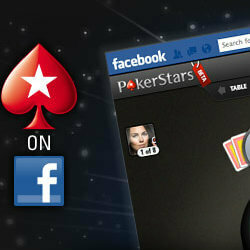 PokerStars didn’t cut any corners when developing their Facebook poker app. Players will be able to play Holdem and Omaha on the app against a huge player pool. Ring table games, MTT’s, S&G’s and even Zoom Poker are all available on the app. This new app by PokerStars has an excellent interface and several customization options. Since there aren’t any real prizes to win right now most players won’t try out the app yet, but I think it won’t be long before real money poker is played on FB. Any country can play the app on Facebook since the games are free and legal. The app is available in multiple languages already and if you’re looking for a change from Zynga Poker you need to look no further than the new PokerStars Facebook app.